Now, let’s talk about next managed service know as Big Data Cluster as a Service. For ADLA, we just write the query , select the parallelism and execute the query – without worrying about what’s happening underneath. 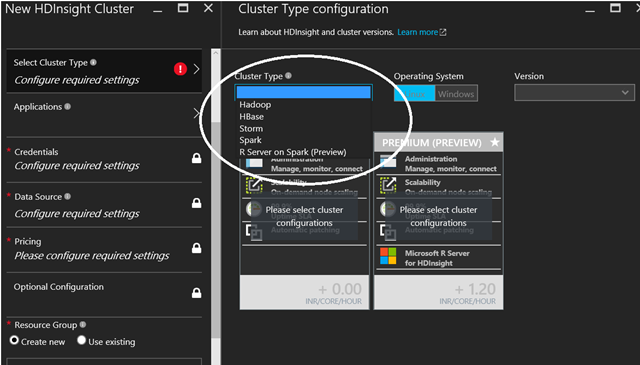 For HDInsight cluster, you will get virtual machines for RDP where you could write your hive or pig queries and manage within preselected sources. 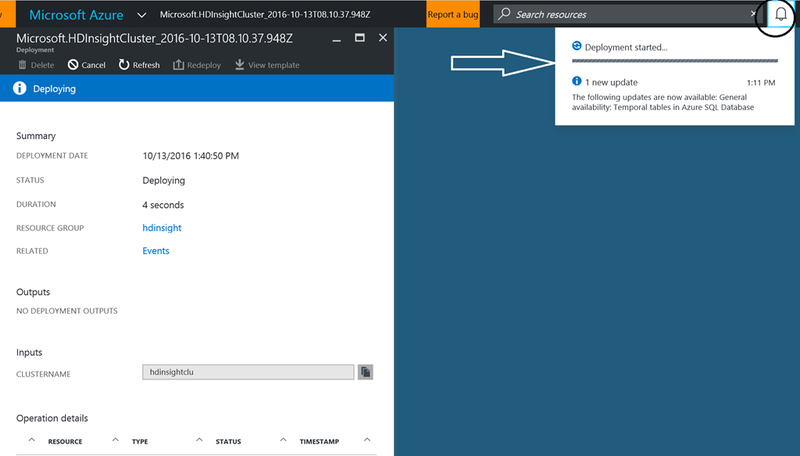 Just write HDinsight in the search textbox and option to create HDInsight cluster will appear. 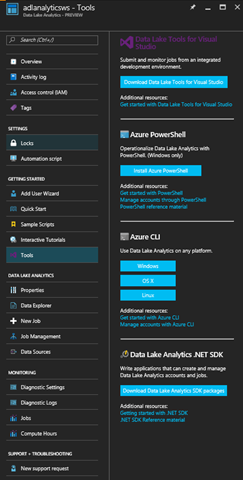 After learning how to create Azure Data Lake Analytics (ADLA) account. It’s the time to write some queries to leverage this account. As we know, U-SQL is a query language for this platform. 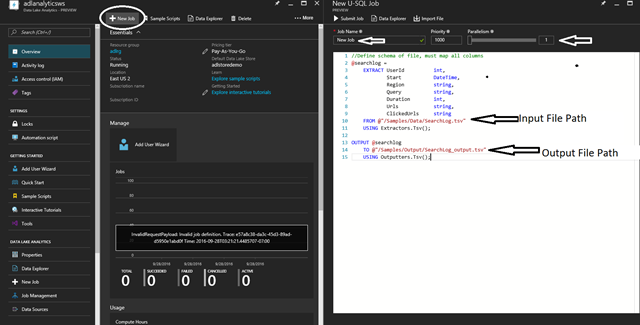 The best thing about Microsoft Big Data Stack on Azure is, the query languages are SQL like and are really easy to understand. 3. Priority –> Lesser the value , higher the priority is. Job with higher priority will run first. 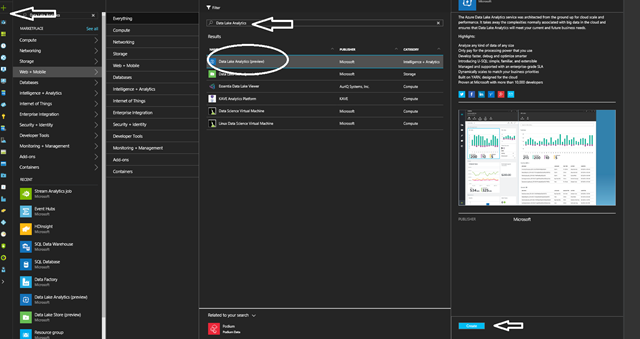 On the left hand side, you are seeing the Azure Analytics account, underneath that we have ADLA database (Master as a default). It gives a feel of SQL Server DBs underneath which we can have procedures/tables/views etc. In the middle, there is an option to select the database (a new DB can be created), schema of the object , ADLA account (Local is by default) and then Submit. Moreover, if you click the drop down underneath submit , you can even select the parallelism and priority. On the right side, you can register/create assemblies for the programming purpose and then later use those in the U-SQL queries. As shown in the pic, you can see the status of job and see how long it took to run the entire job. Let’s finish the all the components of Cortana Analytics Suite. After that, we will pick up a real life scenario and explain how all these components fit together. As we have set the context right through previous posts, now it’s time to understand how Big Data Queries are written and executed. 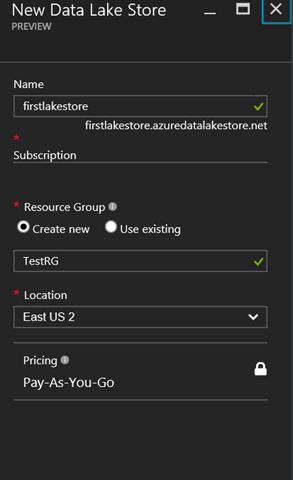 As we know, we can store the data on Azure data lake store and there will be a use case for that. Let’s take a very easy example of Perfmon data – e.g. I have written some queries to process the perfmon data on daily basis. Let’s say, we want to find out, how many servers out of 500,000, servers faced memory pressure. We have automated perfmon data collectors scheduled on all the systems and the logs need to be analyzed on the daily basis. In this scenario, we have options like put the data inside SQL Server and then do the analysis on the top of it. Analyzing perfmon data for 500,000 server is going to need lots of compute on SQL server and it may cost really heavy for the hardware. Moreover, the query has to be run just once per day. Do you think, it’s wise purchase 128 core machine and with TBs of SAN to do this job? In such case, we have options to process the data using Big Data solutions. Note – I have used this very simple example to help you understand the concepts. We will talk about real life case studies as we move forward. In above steps, we have create compute account i.e. 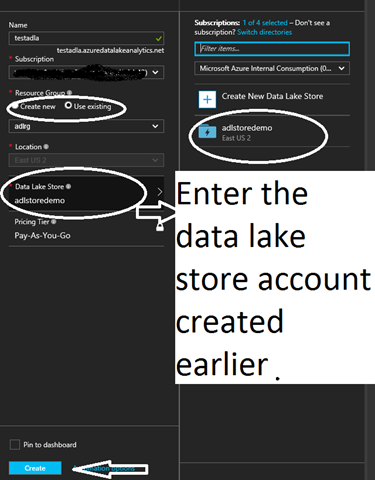 Azure Data Lake Analytics account which will process the files for us. ( Analogically, one machine with set of processors/RAM(ADLA) and for storage we added ADL store to the account). 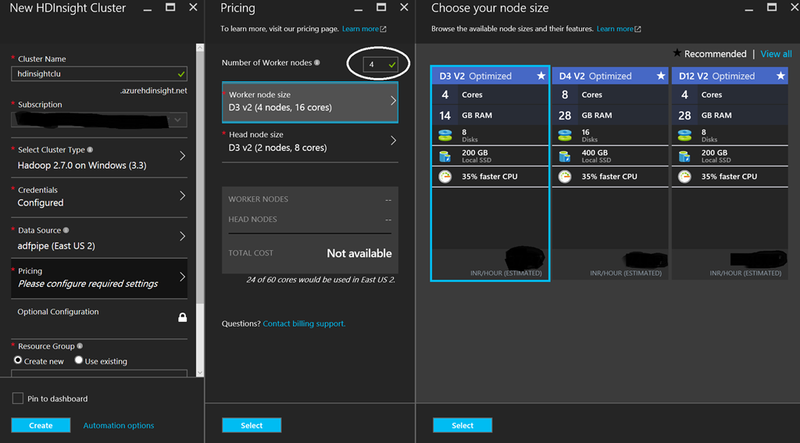 In Azure, we have both storage and compute as different entities. It helps to scale either compute or storage independent of each other. Now, both the compute (to process the files) and storage (where the perfmon files are stored) is created. 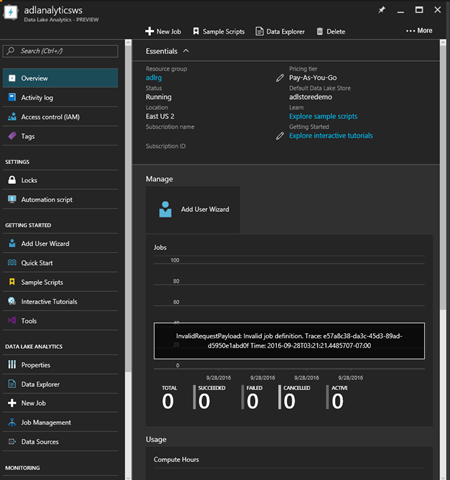 As this service is big data query as a service, we can just write big data queries which internally will be executed by Azure platform automatically. 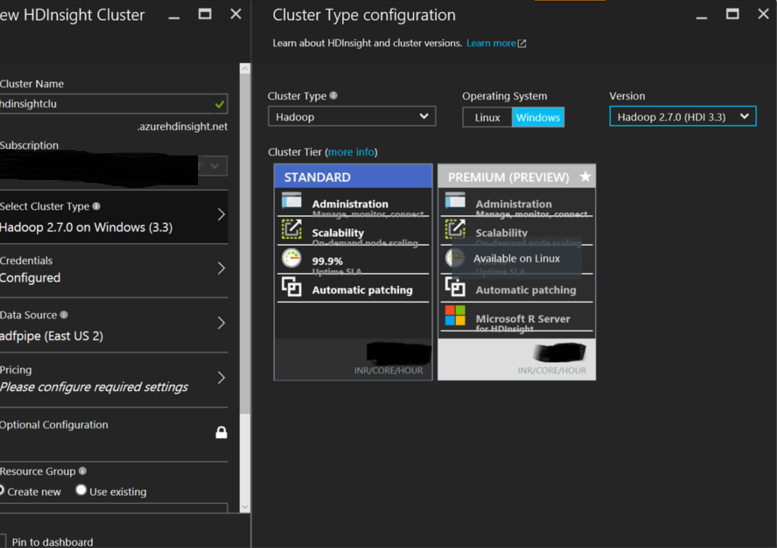 It’s a PaaS service like SQL Azure DB where you just write your queries without bothering about what machine is underneath or where the files are stored internally. Analogically, it’s a broker for you who you hand over the files , give him the instructions , instruct how many people should work on the task (for compute) and then he shares the results with you. This broker understand U-SQL as a language like T-SQL is for SQL Server. If you want to get your task done, you need to write U-SQL queries and submit to the ADLA. Based on the instructions and compute defined by you, it will return the results. Let’s talk about framework to write U-SQL Queries in the upcoming posts. We have an option create any of these 5 types of the cluster as per the needs. 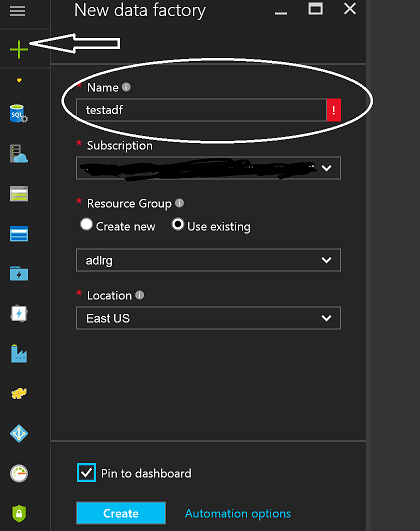 Step 2: Enter the Service Name , Resource Group name and choose the appropriate location. Currently, it’s under preview and there will be limited options on the location of the data centers. Step 3 : Use Data Viewer to upload and download the data – if the size of the data is small. 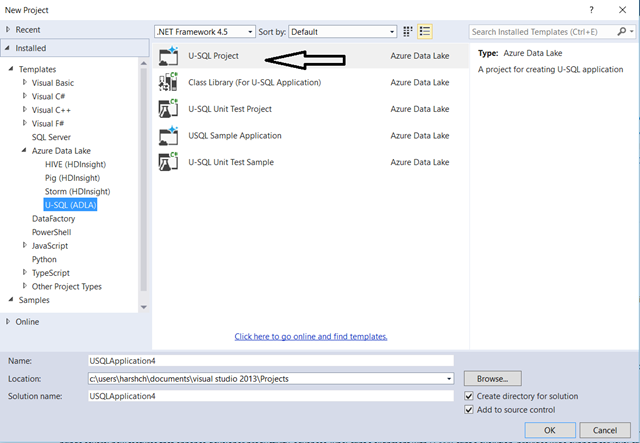 However, you have options to upload the data to ADL Store using various tools like ADL Copy or Azure Data Factory Copy data Pipeline to upload/download the data from ADL store. As shown the above picture, you can easily monitor the number of requests and data ingress/egress rate from the portal itself. 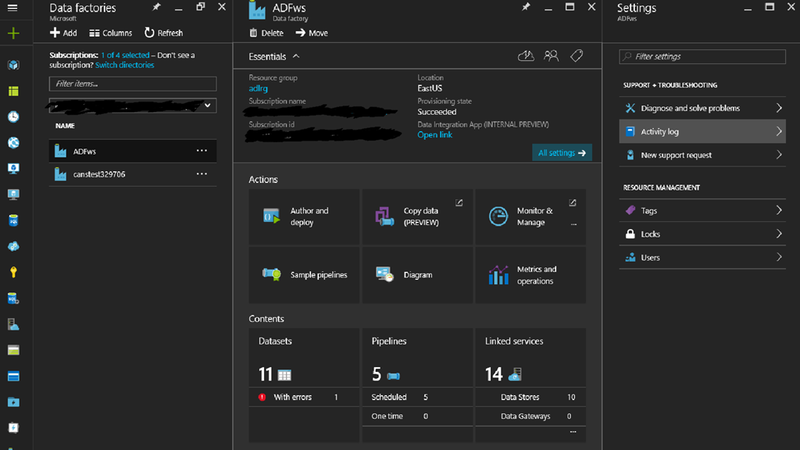 In the next blog post, we will talk about leveraging ADL store for ADL analytics and Azure Data Factory.